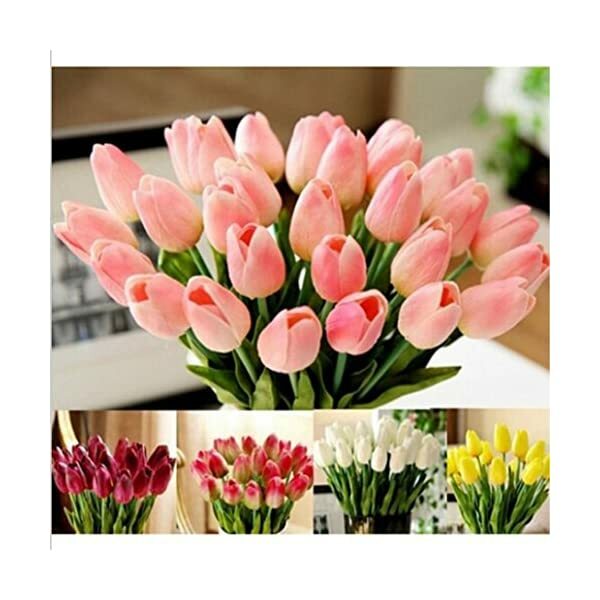 Material: PU is feel good. 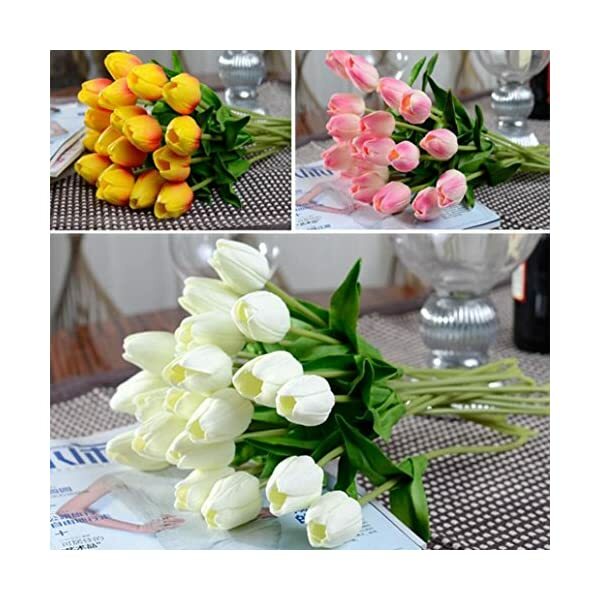 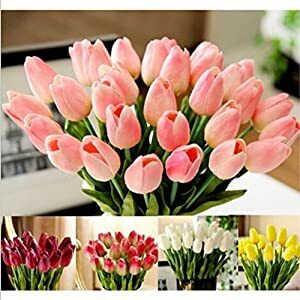 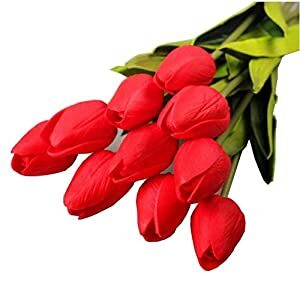 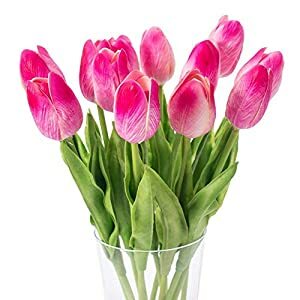 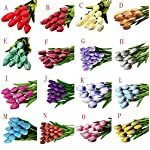 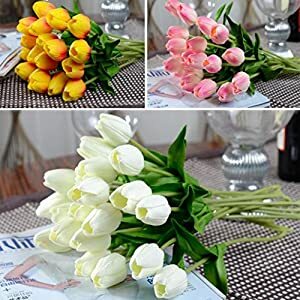 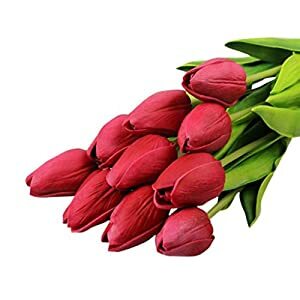 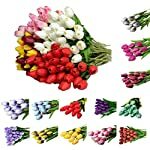 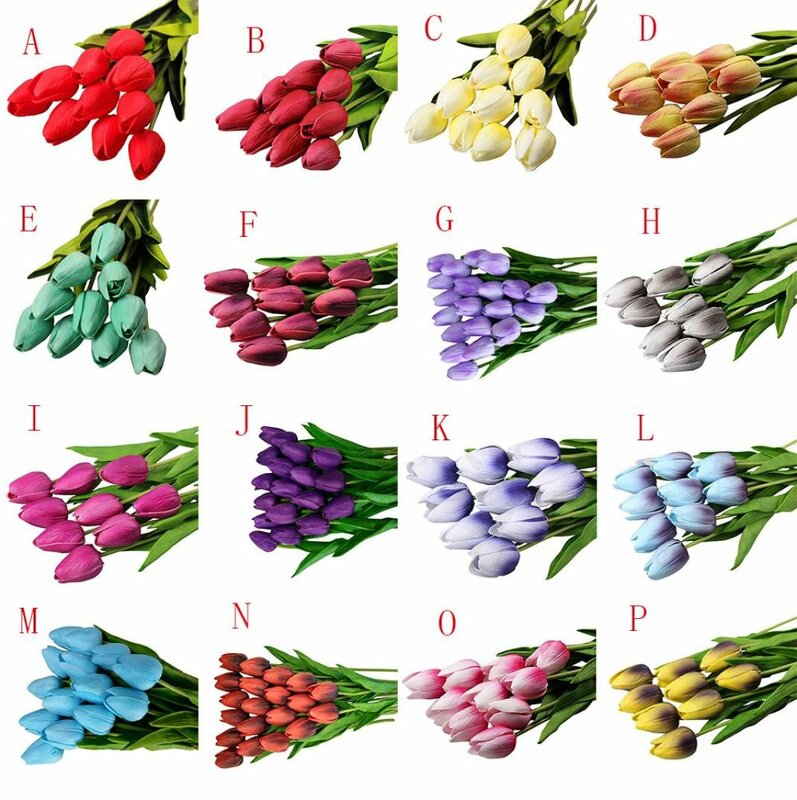 So stunning Synthetic tulip flowers,looks real-like,bring more romantic atmosphere for your house,wedding,coffee shop and other place. 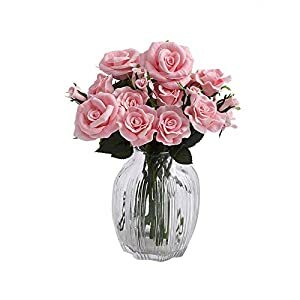 You can place it in a novel and lovely vase. 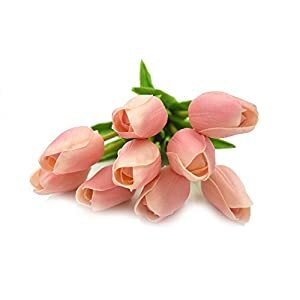 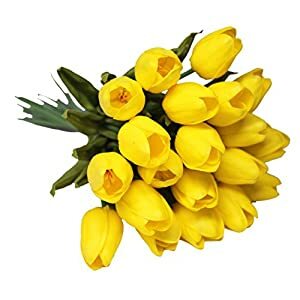 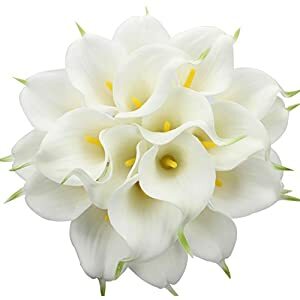 Notice:These come boxed because the heads is also tight so leave them in a vase and they are going to naturally open, or use a hot hair dryer and the air will open them. 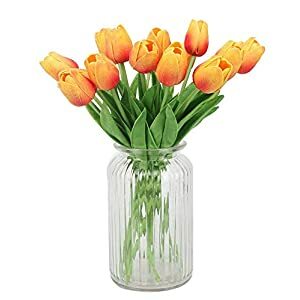 Subject matter: PU is feel just right.